Interested in joining the Carousell team? Come work with us! 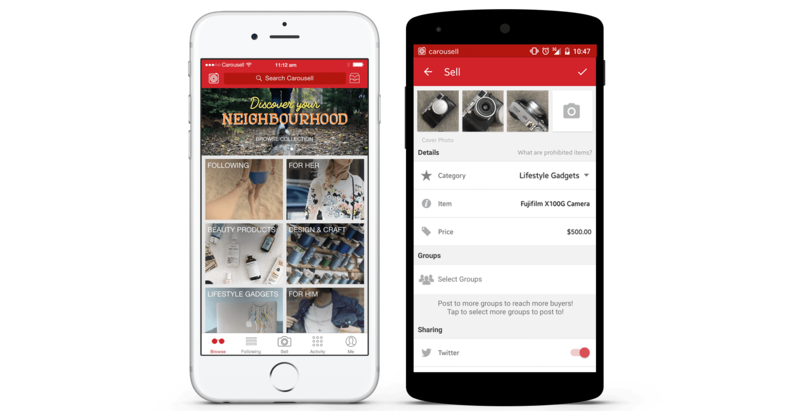 Carousell is the top marketplace app for person-to-person buying and selling on iPhone & Android smartphones! Snap a photo to sell your unused and secondhand clutter easily in 30s with free listings. And online shopping is as easy as chatting with sellers on the go! Plus, shop millions of the best preloved and brand new deals online! Enjoy great discounts on fashion dresses and shoes, nail art and beauty makeup, baby and accessories, electronic gadgets, laptops and more! Get the app now! Simply snap a photo, describe it, and list your item. It's never been easier to sell your ever-increasing pile of clothes, gadgets, & accessories that are new or barely used. And it's free! Uncover hidden gems to save up to 80% off retail prices! Discover new stuff with thousands of listings added each week. Skip shipping fees & save traveling time when you buy from people near your home, school or office. You travel to these places all the time anyway. Now I can sell from my phone!